Marit Melhuus is Professor of social anthropology at the University of Oslo. Her earlier work has been on issues of gender, morality and change in Latin America, and her publications include Machos, Mistresses, Madonnas. Contesting the Power of Latin American Gender Imagery (co-edited with Kristi Anne Stølen, Verso, 1996). Her current research concerns biotechnology, kinship, and law, and she has published numerous articles on these questions. Recent publications include Holding Worlds Together. 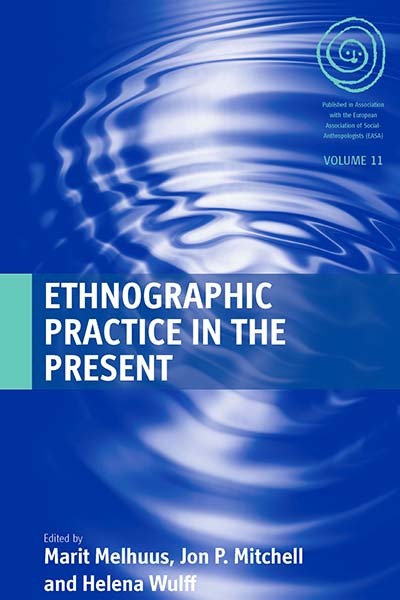 Ethnographies of Truth and Belonging (co-edited with Marianne Lien, Berghahn, 2007) and La Norvège, vues de l’intérieur, a special issue of Ethnologie francaise (jointly edited with Sophie Chevalier and Marianne Lien, 2009). Jon P. Mitchell is Reader in anthropology at the University of Sussex. His main ethnographic research was conducted in Malta, covering themes of ritual and religion, politics and the state, history, memory and modernity, and popular culture. His publications include Ambivalent Europeans: Ritual, Memory and the Public Sphere in Malta (Routledge, 2002), Powers of Good and Evil: Social Transformation and Popular Belief (jointly edited with Paul Clough, Berghahn, 2002), Modernity in the Mediterranean (edited special issue of Journal of Mediterranean Studies, 2002), Human Rights in Global Perspective (jointly edited with Richard Ashby Wilson, Routledge, 2003). His current research focuses on the religious origins of secular charity. Helena Wulff is Professor of Social Anthropology at Stockholm University. Her research interests focus on expressive forms of culture in a transnational perspective, with a recent interest in writing and Irish literature as cultural process and form. Among her latest publications are Dancing at the Crossroads: Memory and Mobility in Ireland (2008, Berghahn), The Emotions: A Cultural Reader (editor, 2007, Berg), and Ballet across Borders: Career and Culture in the World of Dancers (Berg, 1998, reprinted 2001). She is also Editor of Social Anthropology/Anthropologie Sociale, the Journal of the European Association of Social Anthropologists.